Tricel Composites have announced their latest partnership with Kisling AG to supply its ergo.® range of adhesives and sealants in both the UK and Ireland. Initially founded in 1862 in Zurich, Kisling AG opened its manufacturing operation in 1998 to produce high-performance adhesives and sealant solutions for almost every area of industrial production. The company’s customer base includes; businesses in the areas of electronics, machinery and plant engineering, pump and valve production, automotive and consumer goods. Kisling provides high-strength low odour methacrylate and epoxy-based structural adhesives, anaerobic adhesives, instant adhesives, hybrid polymer adhesives and sealants, as well as RTV silicones for a variety of applications. The company has launched its latest offering of single and two component epoxy and methacrylate structural adhesives for the UK and Irish markets, adding to its already popular range of anaerobic and cyanoacrylate-based products. 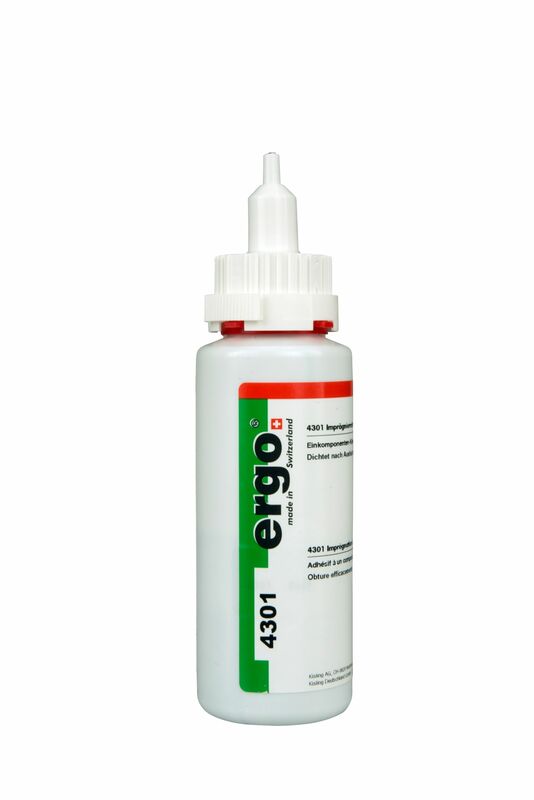 ergo.® adhesives are designed for bonding components with different expansion coefficients that must withstand high thermal and dynamic stresses. Mechanical surface abrasion, such as sanding, grinding and sandblasting, improves the surface properties for bonding. Higher temperatures (up to about 50°C) increase the cure speed. These two-part adhesives can be used on metals, ferrites, plastics, and ceramics to bind two substrates of the same, or different, materials. These products will be available from Tricel Composites from mid-September following a testing period with our Technical Sales Team. Robbie Larkin, Tricel’s Head of Distribution, stated, “We are delighted to be partnering with Kisling and bringing the ergo.® high quality, high performance and sustainable products to our range. This follows on from our recent eco-friendly low and styrene free polyester resin range. With over 60 years of specialised experience and expertise in the composites industry, the stocking and distribution of such an extensive range of products is a very natural environment for us. Our inventory covers the materials and products required for every application within composite manufacturing, and we continually supply an array of industry-leading brands with great success. Kisling’s Head of Sales, Roger Affeltranger and Craig Brown, UK Sales Manager, also commented on the appointment of Tricel Composites as the preferred partner to the composites industry; “Kisling AG is proud to announce its collaboration with Tricel Composites. Tricel is the official distribution partner covering the composite manufacturing market sector for the ergo.® branded products produced by Kisling AG. We are pleased and excited by the opportunity the partnership presents. With manufacturing and distribution operations in 12 locations throughout Europe, including those in the UK and Ireland, Tricel Composites are positioned strategically for both local and national supply. Currently, the company supplies an extensive range of products and materials to over 50 countries worldwide. The Advanced Engineering Show is celebrating ten years of operation and will be bigger and better than ever, according to show organisers Easyfairs. This year’s event will build on the success of the 2017 exhibition, where attendance increased 15% from the previous year. The show takes place on October 31 and November 1, at the NEC, Birmingham.